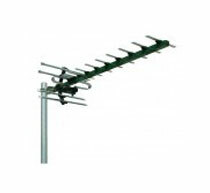 It is by far the most important thing for any home-owner to ensure that when you finally must upgrade the antenna system, that it be a long term solution; and that means the right antenna for your area must be installed. Here at Brocky’s TV, we have the local knowledge and experience to help make this easy for you. That’s why we urge you to ‘give the local guy a try’. Which Antenna Is Right For Me? 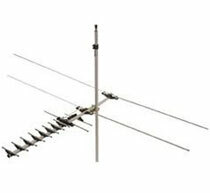 We are drowned in variety when it comes to televisions themselves, but it is no different when it comes to the antenna as well. We don’t just stock one style of antenna, and this is most important, because one style does not suit all areas; often we use two or even three styles in the one area! UHF, VHF, Digital, Analog, Phased Array and Directional. These are all terms you will hear when it comes to installing a new antenna on your home, at Brocky’s TV we will write these details down and explain in detail why this choice is most suitable to you and your home. Our team wont take chances with your new antenna system, we only replace what is necessary and we make sure that replacement lasts you the longest possible time. 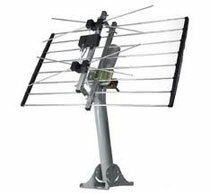 Benefit from the quality of our Australian made antennas, and the confidence of our 5 year extended warranty plans. Finally experience HD Digital quality without all that interference. Click here to lodge an appointment time now so that one of our technicians can help you get the BEST reception.